We arrived at Aston Hotels' Waimea Plantation Cottages just as the sun was going down on January 12. 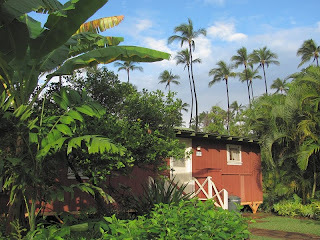 Most of the cottages are from the old Waimea Sugar Plantation; a few were brought in from other plantations. 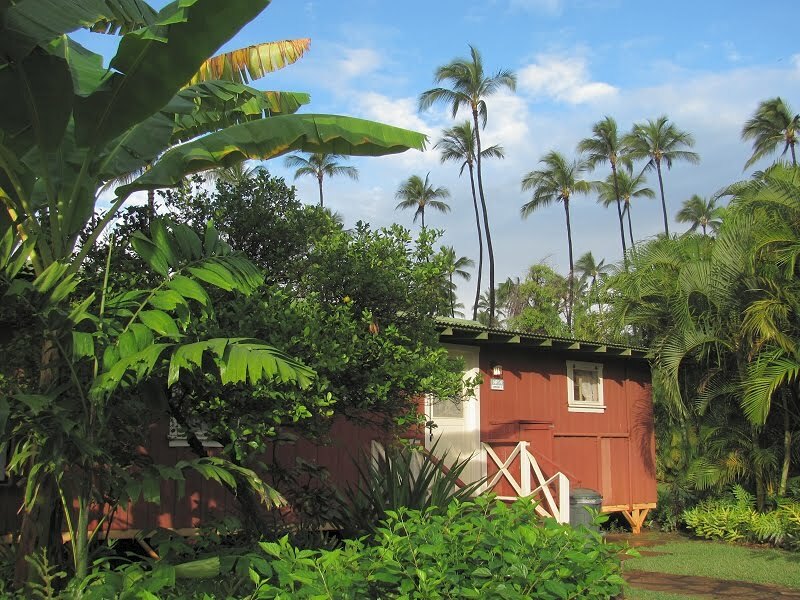 The cottages been restored and provide a unique overnight experience on Kauai's south shore. Here's cottage #54 seen in the morning light.